Five years ago, a charming play opened in London that speculated about the behind-the-scenes conversation and intrigue between British Prime Minister Maggie Thatcher and Queen Elizabeth II during the 1980s. Handbagged (more info here and here) was a delight even to a pair of “colonists” seated in the mezzanine of the West End theatre. The Guardian referred to it as “…an evening of twinkling meta-theatre larkiness,” and we heartily agree. Its clever staging and intelligent banter recalled the political events that rocked the UK during that decade – miners’ strikes, Falklands War, Sinn Fein, and a visit by US President Ronald Reagan. Besides a certain smugness at having seen it, our real takeaway from the performance was its portrayal of a rarity among the Queen’s speeches – one where she veered unapologetically political. The message was “figurehead” becoming “conscience” in a thinly veiled condemnation of the Prime Minister’s iron-fisted handling of protests, privatization, and deregulation. What do we mean by “conscience” in this sense? It would be easy to head down a serious rabbit hole on this (and scores of philosophers have); but, we want to think of this in the recent political climate. Edward Andrew’s 2012 book Conscience and its Critics: Protestant Conscience, Enlightenment Reason, and Modern Subjectivity traces some of the conflicting opinions and traditions oscillating between reason and conscience through the seventeenth and eighteenth centuries (obviously applicable to our discussion, given the study’s timing as it relates to the founding of the US). Over time the perception of these disparate ideas would converge. And, in the wake of World War II, the United Nations was formed (1945), and it later adopted the Universal Declaration of Human Rights (1948). Article One is explicit: All human beings are born free and equal in dignity and rights. They are endowed with reason and conscience and should act towards one another in a spirit of brotherhood. It is in this context then that we refer to our leaders as having the potential to be our conscience, making and guiding moral and positive change. In fact, since the end of World War II, political forces have focused in this manner on “…the goal of maximizing human flourishing – life, health, happiness, freedom, knowledge, love, richness of experience.” The results of this largesse, according to Steven Pinker in his 2018 book Enlightenment Now: The Case for Reason, Science, Humanism, and Progress, include a worldwide increase in life expectancy, access to information, cleaner water and air, recognition of women’s rights, etc. These concepts relate to livability and should sound reasonably familiar to those who have followed IfYouWereMayor.com. Divisive partisanship makes this common set of goals not only more difficult to achieve, but, frankly, requiring intrigue and cunning to overcome the siege laid out to thwart them. Efforts to mitigate this atmosphere have been largely ineffectual with social media’s data mining exacerbating an already deep divide. Economist and New York Times columnist Paul Krugman published Conscience of a Liberal (2009 ) in an attempt to recalibrate the fundamentals of progressivism as the Obama administration took office. More recently, Senator Jeff Flake, a Republican from Arizona, published Conscience of a Conservative: A Rejection of Destructive Politics and a Return to Principle (2017), a tome designed to reboot conservatism as a check on presidential power in the mold of Barry Goldwater, writer of The Conscience of a Conservative in 1960. As to how this kind of friction has affected the political atmosphere at the local and regional Charleston level? Battle lines have been drawn on several issues – compounded by limited public resources to address them – including roadbuilding v mass transit, flooding in the suburban areas v flooding downtown, and managing the tourism economy. By considering every stake as either/or the future of the area’s long term livability is much more uncertain. Recent history has further complicated the possibility that leaders can be responsive, principled, and conscientious. Populism and propaganda threaten many of the world’s democracies, including our own where the population is divided by conspiracies and falsehoods. A Fox News analyst, Lt. Col. Ralph Peters, recently resigned from his position saying that “in good conscience” he could no longer be part of a “news” organization that is deliberately undermining the functioning of our government (here). And local television news outlets risk their credibility and hard-won legitimacy when their parent company, Sinclair Broadcasting, insists that local anchors read from scripts designed to sow division and fear (here). In light of the cloying and hypnotic drama associated with television news and clickbait social media, it is our good fortune to hit the pause button over morning coffee with a Pulitzer Prize-winning, locally-owned newspaper, The Post & Courier (link). Subscribe here. Sustained grassroots resistance can be a powerful force to overcome some of the inertia that thrives on division. This activity can direct public officials, especially at the local and regional levels, to be more responsive to a range of constituent needs and concerns. For many years, individuals and families, neighborhoods and towns, cities and states have been at the mercy of powerful, wealthy, or corporate interests that insist governments curtail public investments in more livable communities, slicing funding for housing, transportation, and education. The results are nationwide housing needs that far outstrip supply (here); main streets that have been gutted by corporate homogeneity (here); and infrastructure neglected to the point of collapse (here). Voters need to assert that their leaders cultivate conscientious decision-making that focuses priorities and investments on creating opportunities where people live and can thrive. What this might look like was on view at the Charleston Moves event highlighting the launch of the downtown Charleston People Pedal Plan (here). When the city’s new Director of Transportation, Keith Benjamin, stood up to address the crowd he began with a caveat — he had been “hit in the chest” when he got news of a deadly crash between a car and a pedestrian on the Crosstown the night before (here). He felt powerless knowing that making the pedestrian crossing safer would require wresting control of the thruway from the state’s DOT. 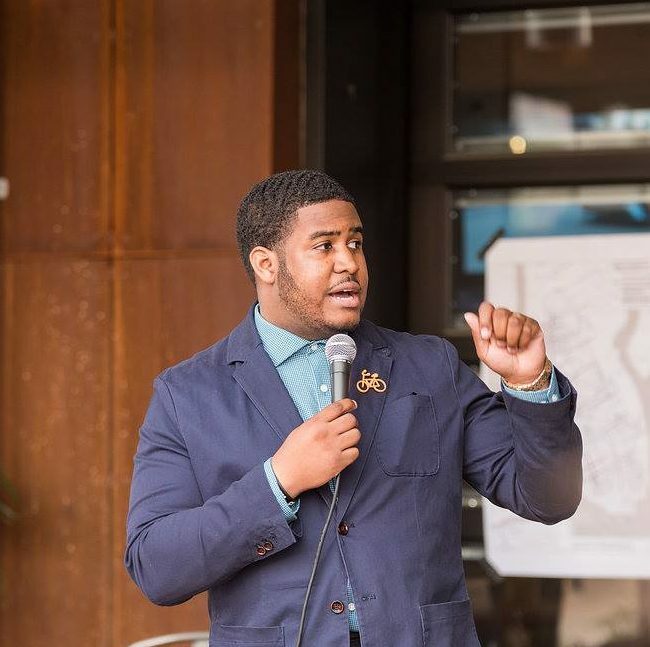 He noted that he and the City needed everyone to get involved in making this possible since so many intersections throughout the city are under state control – a spot where creative solutions go to die. This level of empathy – one that spurs action – is demonstrative of what we should look for in our leaders. Conscientious leadership will mean that we can all flourish.